Spalding Peafowl are named after the late Mrs Spalding of California. Spalding peafowl resulted from a crossing of the two species of peafowl. 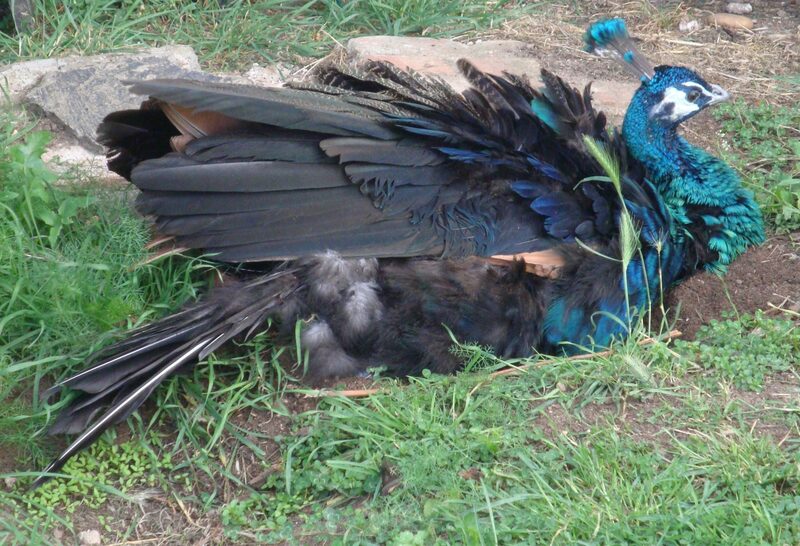 The hardy Blue Indian (Pavo cristatus) and the Green Java (Pavo muticus). 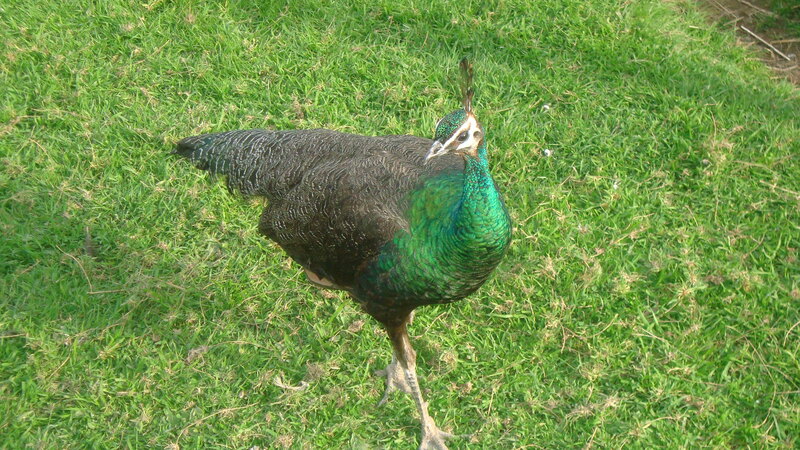 A Java Green Peacock and Black Shouldered Peahen were bred together by Mrs Spalding creating the first Spalding Peafowl. The male Spalding Peacock is similar in colour to the Java Green Peacock. However its body shape is thinner than the Indian Blue Peacock. 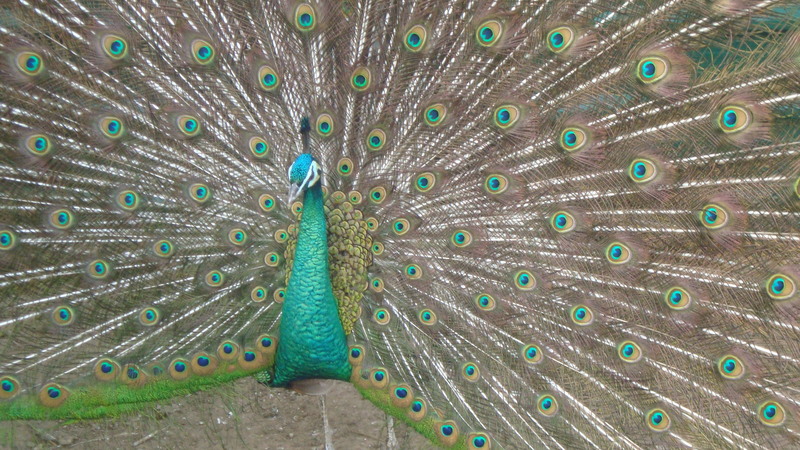 The Spalding peacock is also much larger in body size than the Indian Blue. 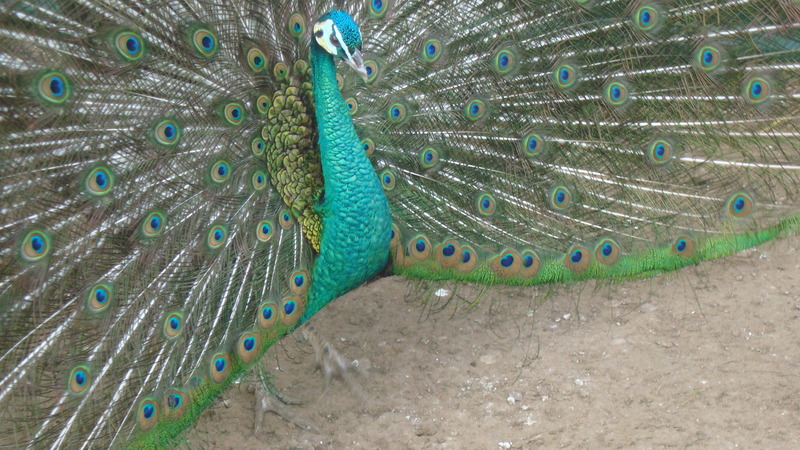 The legs of the Spalding Peacock are also slightly longer than Indian Blue Peafowl. The Spalding Peahen is more brightly coloured than the Indian Blue Peahen. 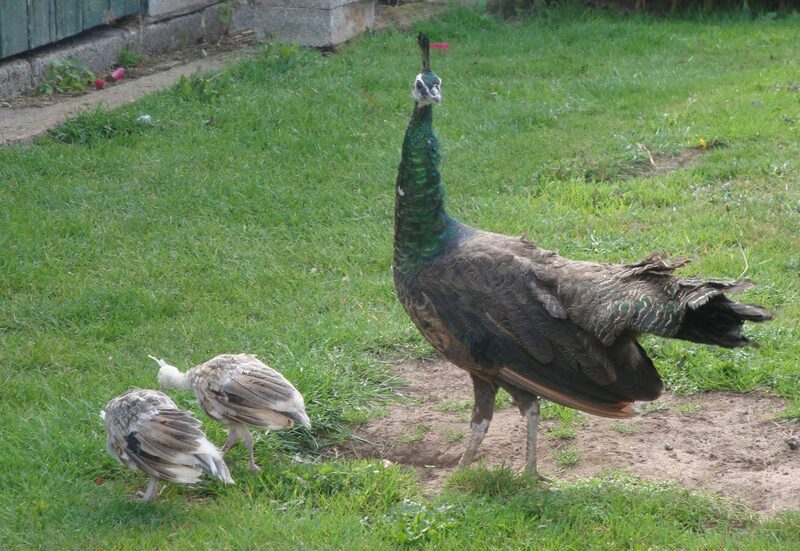 The Spalding Peahen has much more defined green metallic colour around the neck. They also have darker feathers on their body than the Indian Blue Peahen. They are very pretty and the peahens show the most colour of all the peahen varieties with the exception of the java Green. Spalding peachicks hatch from much larger eggs than the Indian Blue, or other varieties of peafowl. The egg shells of the Spalding peafowl can be particularly thick. This can create a problem for Spalding Peachicks when hatching, it can also affect the hatch rates for Spalding peachicks. Spalding Peafowl do not breed true as they are a hybrid. 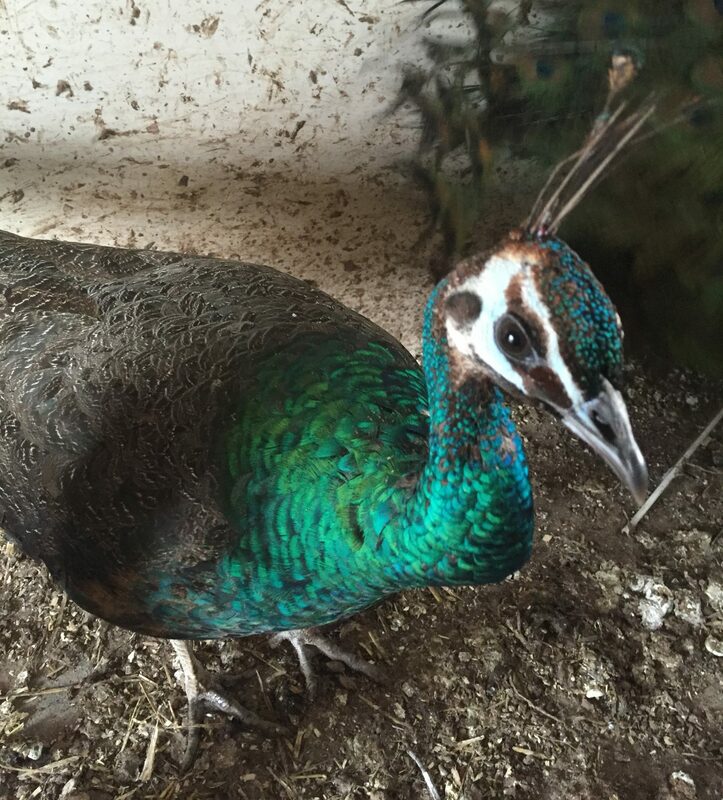 Spalding Peafowl bred to Spalding peafowl will exhibit different traits dependant on the percentage of Java Green. 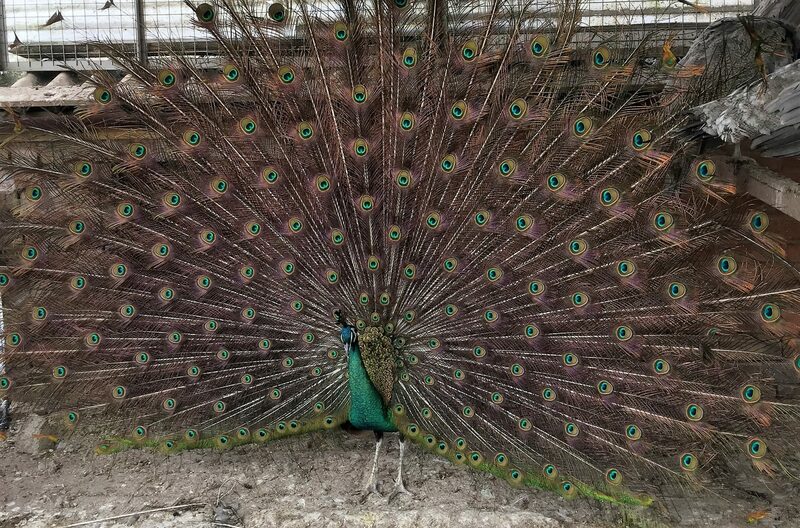 The Spalding gene has now been bred into many varieties of peafowl including the following: Spalding White, Splalding Burford Bronze, Spalding Purple, Spalding Cameo, Spalding Black Shoulder, Spalding Pied to name a few.